Our client a renowned mobile game development specialist is known for designing and developing creative and innovative game apps which enables on the go users to leverage their mobile devices to the optimum. The company’s portfolio includes games developed for various genres such as sports and recreation, education, puzzles, logic and adventure. Our client wanted to create a game which had a horizontal format similar to the popular game ‘Angry Birds’, with an Indian concept. The sport Gilli Danda seemed to be a potential idea, for a Windows Phone gaming application, though it has earlier been a popular Indian game, an application was still missing from the Mobile space. 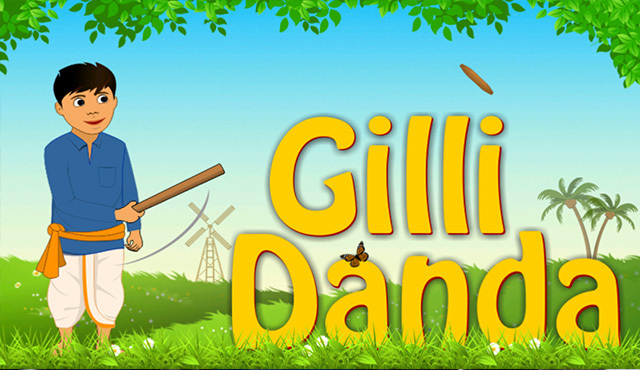 The gameplay includes a ‘Gilli’, a short wooden stick which is hit by another long wooden stick known as ‘Danda’. Including new innovative elements to increase the user engagement. Aiming at an addictive, easy to play, yet challenging concept which could be mastered. Retaining the games main attribute and focus, along with the presence of these novice elements. Achieving smooth panning of screen, corresponding to the change in movement of the gilli. Coordination of user’s swipe movement, such that it would correspond with the vector force to be applied on the gilli. Achieving the trail mark of the gilli upon coming in contact with the ground. To perform all basic functional testing’s for critical aspects such as interruptions, sound effects and user interface elements. To ensure for users to have access to continuous game play. Xoriant has a significant amount of experience in mobile app development, with a comprehensive portfolio covering different segments such as utility, lifestyle, business, reference and games with the ability to publish in multiple platforms. Coupled with this, Xoriant had also created frameworks such as Xoriant Smartphone Application Accelerator and the Xoriant Enterprise Mobility Platform which enable applications to be developed in a much shorter time, along with the ability to be present across different platforms. Owing to these factors, Xoriant emerged to be the right choice for the client along with the presence of a multifaceted team of technical architects and developers. Regular meetings were held to garner a comprehensive understanding about the project’s requirements. A team consisting of a technical architect, a UI designer, a Software developer and a QA engineer was made to meet the project requisites. Xoriant conducted a market analysis, to identify the right target audience for the game app, eventually targeting users in the age group between 25 to 50. Designed, developed and deployed for the Windows platform. Characterization of the game elements for which a village looks was fixed upon to bring out the essential and original rural feel. The team came up with this proposition after a few extensive brain storming sessions. All elements to be hit by the Gilli were given a traditional appearance, to bring distinctiveness from the counterparts of other sports game apps. Rough drafts of the visuals were made and multiple story board sessions were held to determine the final outlook of the game. Emphasis was given on each object’s appearance before and after coming across the Gilli. structures & lucid language to make the game easy to understand and play. Camera view was coordinated with the object and Gilli movement. Physics engine was incorporated to create a real life like experience & determine the velocity and angle of hitting the Gilli. Vertex to vertex collisions were integrated to give a perfect collision feel. Free drag gesture was implemented to bring out the right speed for hitting the Gilli, based on the swipe movement of the user. The Free drag gesture was implemented with a view to help in maintaining a record of the player’s swiping speed. This record would serve as a data memo, for determining the linear impulse to be applied to the Gilli. Real Life like sound effects were implemented to increase the overall impact of the game. Augmenting feature API “ Applying force “ was used to create realistic reactions for the Gilli after coming in contact with certain ground elements like bombs and springs. User interface testing was done to check for animation, movement of character and elements, graphics, and other gestures. Performance testing was done to evaluate if the speed and direction corresponded with the swipe movement of the game user. Interruptive testing was done to check for background music and sound effects. Interruptive testing was also done to check for game continuity in case of a gap during gameplay. Rendering and modeling adaptations with Autodesk Maya software. Use of UV unwrapping techniques to give real life like appearance for object textures. Implementation of Superior lighting and shading effects for improved game view. Generated about half a million downloads across all three platforms since its inception. Ranked in top 6 for sports and recreation game app category on Windows Phone site. Led to initiatives for upgrading the present version of the game, and 3Dversion as well. Further plans to make the game app adaptable for Nokia, android, iOS and upcoming mobile platforms such as Tizen, and Firefox.